This course provides an overview on everything that you need to build a Neo4j application with the Ruby programming language. Ruby on Rails and Sinatra examples are given but any web framework (or lack thereof) can be used. You should have Ruby installed on your system. Some experience with Ruby and/or Rails is suggested. Let’s say you would like to write a web application to track entities for yourself or your organization. Being a good DRY programmer you might decide that what you want is an asset portal: an application which gives you an GUI for browsing and editing entities while also making it easy to define new assets. This guide will show you how you might start creating such an application using Ruby on Rails and Neo4j. 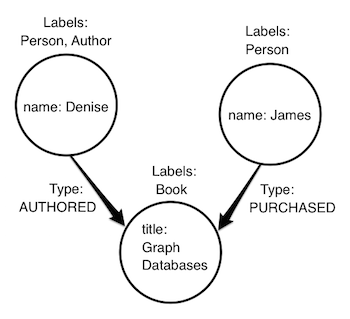 Neo4j provides a schemaless representation of both entities and relationships between entities. Relationships between entities are traversed rather than joined. Traversals explore the local subgraph meaning that query times stay the same as your database grows. Rubyists generally prefer tools which are developer friendly and which don’t bother you with details until it’s neccessary. Neo4j makes it easy to create nodes and relationships in whatever way seems most natural, but you can also change the structure of your database with a query. Connected information is everywhere in our world. Neo4j was built to efficiently store, handle, and query highly-connected elements in your data model. With a powerful and flexible data model, you can represent your real-world, variably-structured information without a loss of fidelity. 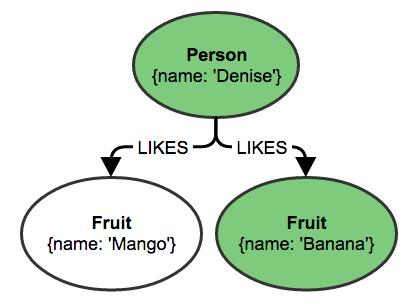 The property graph model is easy to understand and handle, especially for object-oriented and relational developers. While relationships are directional, querying relationships in either direction has no associated performance cost. Here, you see we can return entire entities in our database rather than just properties. This might be returned as a Hash in Ruby, though by default in the Neo4j.rb gems these are wrapped in an object. While it’s possible to get started using the Neo4j.rb without learning Cypher, it is a very powerful way to query a Neo4j database and is worth learning. Also, since the Neo4j.rb project works by making Cypher queries to Neo4j it is good to understand Cypher as your queries get more complex. There is a Cypher tutorial if you would like to learn more. Specifically in this guide, we will be using the ActiveNode and ActiveRel modules from the neo4j gem to model nodes and relationships from our database. The following example is in Ruby on Rails, but there is a Sinatra example below. Here, we describe how to create a fresh Rails application with Neo4j as the database. If you have an existing Rails application, you can refer to the Neo4j.rb documentation. The first creates a new Rails app skipping ActiveRecord (the -O flag) and setting up Neo4j.rb in your project (the -m flag). Then, we change into our directory and install the latest version of the community edition of Neo4j into our app directory (into db/neo4j/development/). Last, we start up our copy of Neo4j. Server mode allows you to connect to Neo4j via it’s HTTP JSON APIs. Embedded mode requires JRuby and allows you to run Neo4j as part of your JRuby process. This gives you access to the Neo4j Java APIs directly. By default, you will be configured to Neo4j in server mode on the default port (7474). If you would like something other than the default console, take a look at the documentation. By default the rake neo4j:install command disables Neo4j’s authentication. It is suggested that you enable the authentication for any exposed Neo4j instances. To see an example of setting up Neo4j in Rails, check out this short screencast. Since Neo4j is schemaless, we need to define our properties in our model. By default there will be a uuid property created on our model. If you would like to define your own unique identifier you can use the id_property method. Either can be accessed or changed via the \#id and \#id= methods. To learn more about properties, check out this short screencast. You can remove the title property because it is inherited from the Asset model. We also need to specify our Neo4j relationship directions and types here. Since author isn’t enough for ActiveNode to understand that we want to reference users, we specify a model_class option. By inheriting from Asset, our Book model will create nodes with two labels (Book and Asset). Likewise, when you query for nodes via the Book model, it will only find nodes which have both labels. From there, you can create, update, browse, and delete books via the scaffolding. You can visit /books, /users, and /categories to get entry points into the various sections. If you just wanted to do simple CRUD operations, there are plenty of other databases to choose from. How can we do something a bit more fun using the power of Neo4j? Don’t forget to restart your Rails server! First, the books are loaded, and then separate queries are made to get all of the authors and categories for those books. With ActiveRecord, you would need to specify an includes in order to make this happen rather than having each entity loaded individually. ActiveNode, on the other hand, makes the assumption that if you refer to an association from a list of items, you are almost certainly going to want that association for all of the objects. The with_associations method is similar to includes, except that our associations are loaded in the same query using the collect() function demonstrated earlier. What we get is a list of Book objects that are pre-populated with authors and categories. You may have heard that Neo4j makes building recommendations from your data easy. Let’s take a look at how we might make some recommendations. For this, we are going to introduce has_many associations. 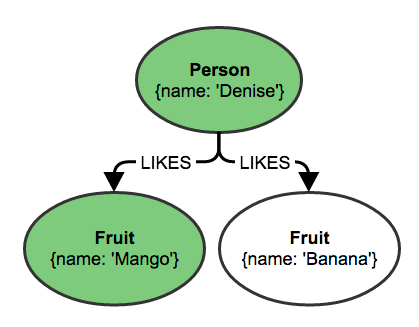 Since entities are connected via relationships in Neo4j, the database doesn’t draw any distinction for when we want to have a single relationship or many to/from a node. In our Ruby apps, however, it is often convenient to be able to draw this distinction. To learn more about associations, check out this short screencast. Don’t forget to change the :category argument in the with_associations call in the controller to :categories like below. Now, with the ability for a book to have many categories and for a category to have many books, you can have a much better picture about recommending books. What if you wanted to list every book and find out, for every other book with which it shares a category, how many categories it shares? Notice how we are starting to assign variables. These eventually become the variables in the cypher query made to Neo4j. with('book, other_book, count(category) AS count'). Are you getting into the idea of using Neo4j? Great! If you still have a lot of questions, there are a number of resources to help you along with your journey. For the fastest help or answers to questions, take a look at or reach out to us on our Neo4j Online Community! For the example view, see the one from the result of the Rails example above. You can also view Sintra example applications for the neo4j-core and neo4j gems. You can find the result of this guide in its GitHub repository. If you would like to play with a more developed application, check out our asset_portal app. The project introduces a single AssetController to avoid the duplication from this guide and also uses other tools like Semantic UI for a cleaner interface. The maintainers of the Neo4j.rb project love to help! There is a wonderful Neo4j Online Community if you have questions about installation, configuration, Cypher, or any topic. You can also check out the Neo4j Ruby website and the documentation.